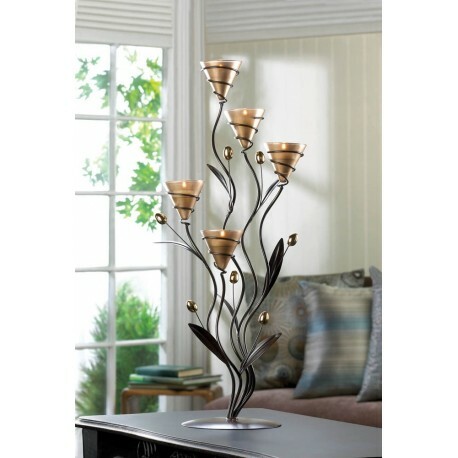 A bouquet of shimmering light to create a soothing and enchanting ambiance in any room! Five golden candle cups await the candles of your choice, ready to bloom with glimmer and glow. Theyre set in curving metal stems, complete with long leaves and faceted crystalline buds, set on a circular base. 9" x 8" x 25" high. Iron, glass and acrylic. Candles not included.